There are plenty TV device available in the market but few of them are effective for us like Google Chromecast, Apple TV and Roku Player. 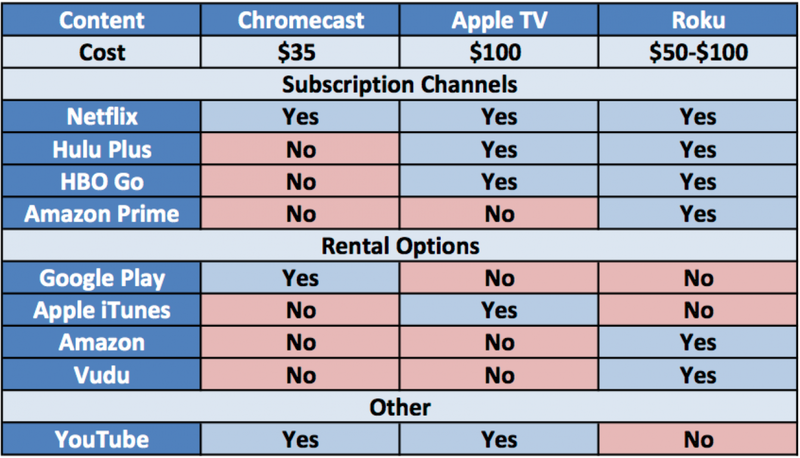 Now you can look out the comparison chart from Marketing Land that compares what you can view on the Apple TV Vs Google Chromecast and the Roku player. If somebody owned many Apple devices then you might require the support Airplay offers for talking with your television. If someone big music fan, there are music alternative available which is covering here. 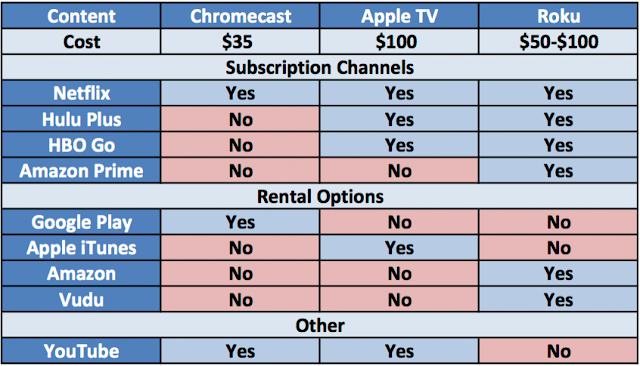 In terms of major video content selections, I’d say the Roku gives the most choices for the minimum price, still, at $35, you are not risking much with a Chromecast and it can be fairly entertainment to have numerous folk sitting around “flinging” YouTube videos at it.